NY GOLD; There is difference between Mr. Trump and Mr. Reagan; Mr. Trump is much friendlier for Gold? Today is about NY Gold. We reported “NY GOLD Daily; following 1980’s, the price will challenge 1200 point over and will fail; if the 1130 point around will work as support condition will change” in 1/11/2017. We think this market trend seems to have already changed. Mr. Trump’s office is filled up with Gold objects. We can see he must be friendly for Gold. The trend direction changed in this year. 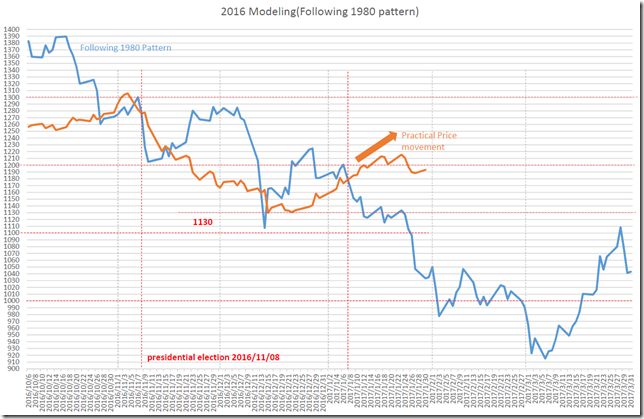 We reported the range is “From 1100 point to 1000 point in 1/2017” in 11/23/2016 but the price is upper than about 100 point. 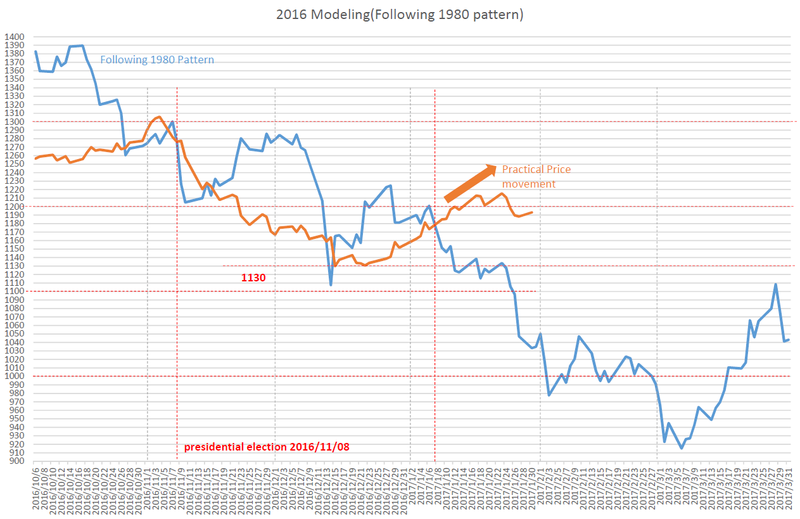 The similar point between 1980 and 2017 is support point. 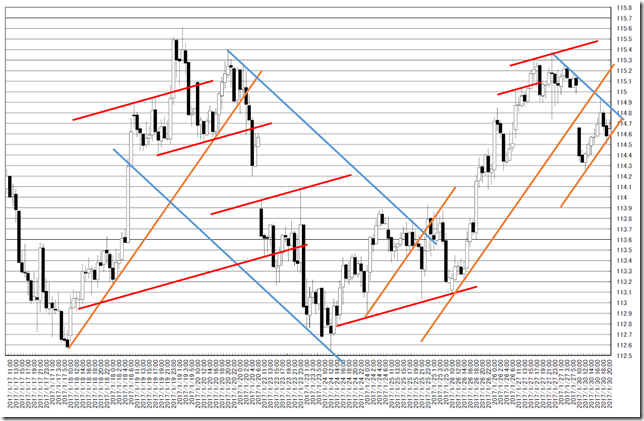 1130 point will be “Iron Plated Support” in future. 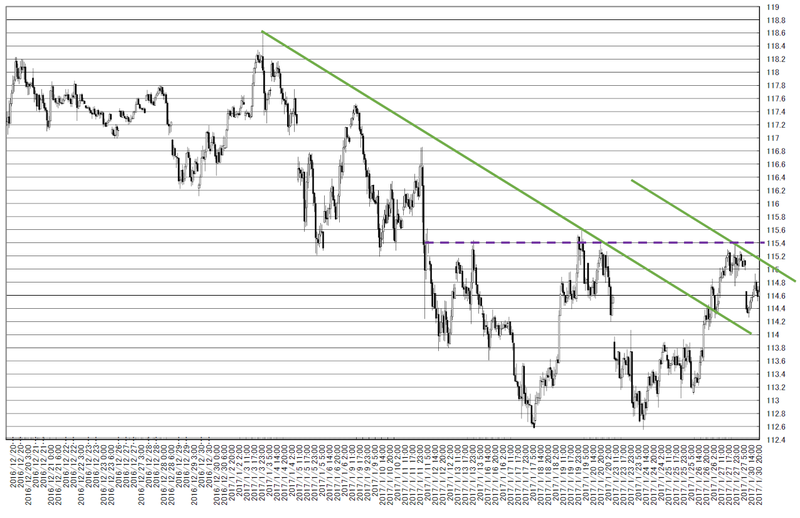 USDJPY hourly; 115.20-40yen is resistance and 114yen low is support. Our conclusion is cutting 115yen middle will be a start of rally. We need to notice the report written in 1/21/2017. 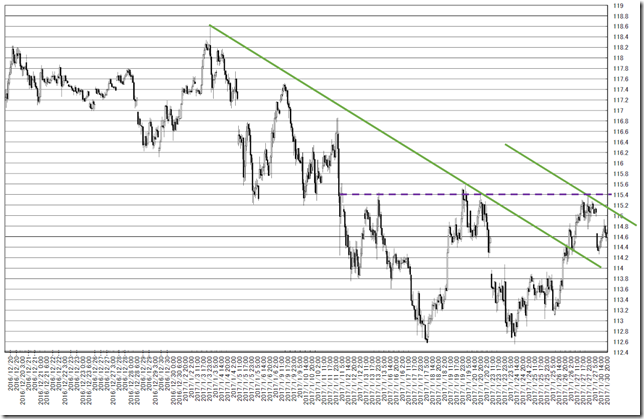 Green line worked well and cutting green again will be good opportunity. But 115.40yen worked as resistance and we cannot take big price range. 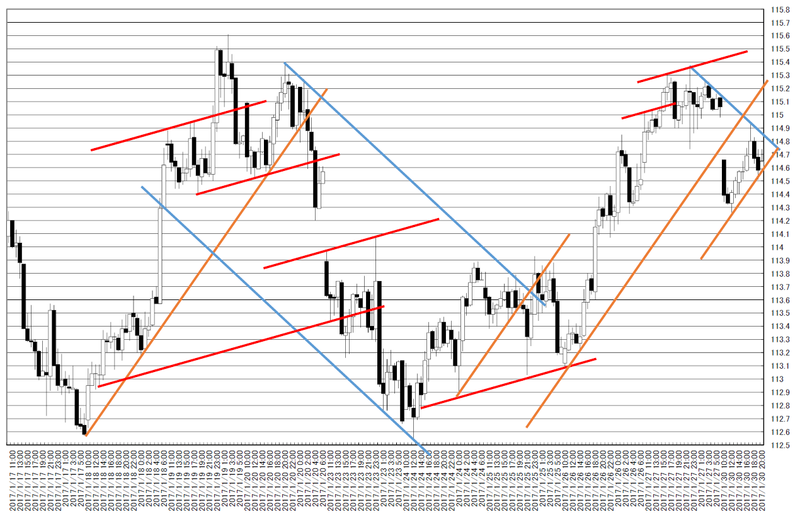 Cutting blue line will be a chance; taking a dip will be good opportunity. We need to watch the gap will work well or not. 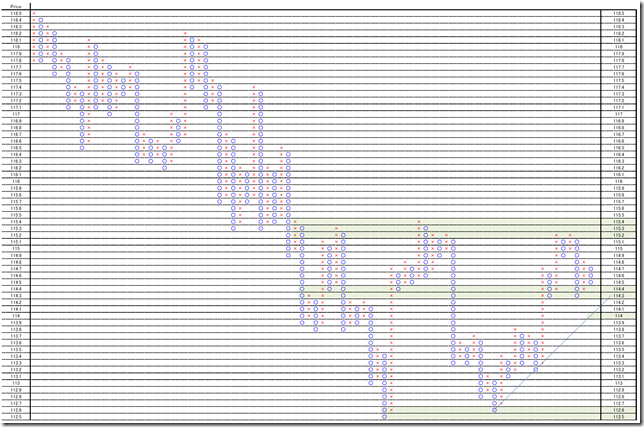 115yen middle is resistance point and 114yen middle is support. 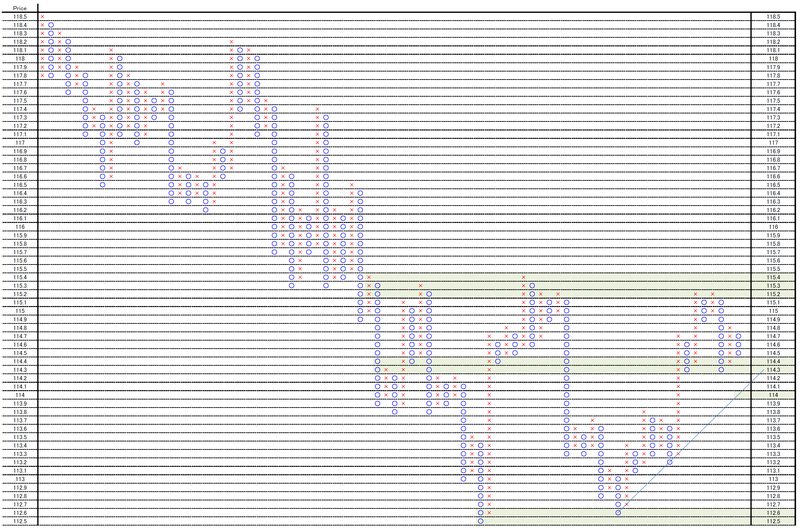 This is similar conclusion to other analyzing method and the resistance and support will be reliable story.